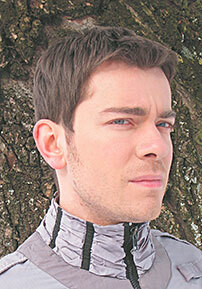 Bulgarian Polish Musician, Jan Michal Szulew is best known as the Orchestrator & Associate Producer of the 'Airwolf Extended Themes' CD1 disc with specific emphasis on the perfect recreations of the various Airwolf "Main Themes", as originally composed by Sylvester Levay, Udi Harpaz and Ian Freebairn-Smith. Szulew's first official Airwolf music release was in 2007 with a 4-track EP of specific scores called "Airwolf Main Themes EP". 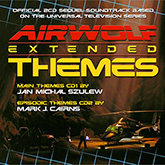 This was purely a digital downloads release originally, but most of the tracks eventually made it onto the full 22 track collection from CD1 of "Airwolf Extended Themes", after extra refinement. Having various synthesizer influences such as Jean Michel Jarre, Kraftwerk and other synth icons, Jan Michal Szulew is a keyboard guy through and through. In May 2016, Jan was placed 3rd in an on-line competition set by Jean Michel Jarre for his interpretation of Jarre's 2016 track, "Heart of Noise".